Posted on 05 January 2016. In the same spirit of truth, honesty and good humor going into 2016 ~ here’s the New York Times New Year’s quiz, which should generate a few smiles. He had to stand next to Donald Trump at two debates. People made fun of him for saying Margaret Thatcher’s picture should be on the 10-dollar bill. Despite our wars, despite our tears, Despite our furtive fears We welcome the smiling year of HOPE. And to decide our own fate of Nonkilling. We’re poised on the edge between Our oldest fears of terror and war And our deepest dreams of peace. We face a choice – to rise to this moment in time And be the PEACE we want to see – It all depends on us, for we peace- lovers Are the largest global community! War is not democratic, and we have to catch it By its ugly ears and drown it into The vast ocean of violent history forever. We peace-lovers are the parents of hope And hope is the game changer in life. Hope is the wing on which we rise It is the map of how and where to fly To throw Terror and War from the top of the cliff Into the historical stormy ocean. In this New Year, let’s hurry to joyfully embrace The golden sunbeam of Hope gladly waltzing To the music of a moving Chopin Waltz Toward twinkling Global Peace. Ada Aharoni is founder of The International Forum for the Literature and Culture of Peace-IFLAC. She is an Egyptian-born Israeli poet, writer, lecturer and peace researcher. New year’s blessings and good luck in 2016 ~ we’ll need it. Maybe East is East and West is West, but the twain shall meet in this essay. For ages, western intellectuals believed that Western culture is evidently distinct from that of the east. It always seemed like Eastern and Western cultures were separated by a (hard to cross) thick red line. Therefore westerners tend to view their political, social and spiritual ideas as completely different from that of the east. The reason for that is the (misguided) belief that the root of every aspect of western culture had originally been created by western minds and grew and evolved on western soil (according to western values). In that regard Judaism has long been considered as one of the building blocks of western spirituality (a conviction we have totally deconstructed and exposed its fallacy in our recent book). While the former conviction could hold some truth as far as some sciences, art and humanities are concerned, but when it comes to the spiritual and religious ideas that ‘made in the west’ concept won’t hold up to our scrutiny and will eventually fall flat on its face. And since Judaism and its stories were (seen) at the core of the Christian theology, the two were somehow blended as one faith under the common designation “Judeo-Christianity”. Two totally antagonistic belief systems that shouldn’t have been merged together, hadn’t it been for the Roman political agenda to paint the whole Empire with a monochromic religious brush. That actually payed off in a way that helped put an end to the (ceaseless) Jewish rebellion/militancy (like of today’s Islamic State) in the Roman Provinces of Arabia and the Levant. By the same values, he/she means the Judeo-Christian faith and the Israelite (apocalyptic) stories, the (insane) accomplishment of which will herald the so called second coming of the Christ. Hence, new ecclesiastical terminology and churches have recently started to capitalize on this (distorted concept), e.g., Christian Zionism. But little did those Americans and Europeans (who subscribed to this new faith/church) know that this bond was just a deception in disguise, and those values were completely alien to the West and its inherent culture. This is principally the aim of our book and this essay; to expose centuries of deception and delusion augmented by biased and misguided western academia. Most of the orientalists who examined the Quran and Islamic literature and jurisprudence have often come to the conclusion that Islamic literature/scripture had copycatted many of the Jewish laws and stories. Well, in that regard the orientalists and most of the Western scholars are damn right. But oddly enough no one of them wondered why Islam and Judaism are so (strikingly) similar in their laws and stories. Why the same stories of the Jewish Patriarchs are reiterated over and over again, and may be in a more detailed manner, in the Qur’an? Even more bizarrely important, how come that millions of Muslims over the last 1400 years have grown so familiar with the Israelite stories if those were exclusively western? Some might argue that this is not surprising nor unexpected since Islam is one of the Abrahamic religions that also included Judaism and Christianity. Well, that is a good argument, provided we first agree on the (original) geography and the culture that gave birth to Abraham and his new faith/ideas. First tell me the native culture/homeland of Abraham and then lecture me on the so called Abrahamic religions. Pinning down not only the timeline but most importantly the exact geography that produced Judaism and the Israelite stories will be of a tremendous help. It will give us access into the kind of ‘culture’ that created that faith, and the kind of ‘people’ that told and nurtured those (violent and tribal) Israelite stories. In other words, getting to find out the cultural roots of Judaism will indeed uncover the (anthropological) reasons behind the (tribal) violence and intolerance that the Israelite stories/laws are so soaked with that made the adherents of the Jewish faith the hardest to assimilate (into other cultures) throughout the history of mankind. And likewise that will help us understand why Islam had so uncompromisingly followed suit. According to the critical/academic school of history the ‘patriarchal/ancestral period’ that starts with Abraham is now regarded a later literary construct, not a period in the actual history of the ancient world. But since I render alternative views on ancient history, I tend to rely more on the philosophy of history with its analytical methodology than critical/orthodox school of history, though I agree with the assessment of its scholars that view the tale of Abraham (as interpreted by orientalists) not reflecting real history. The term philosophy of history refers to the theoretical aspect of history, it speculates if there is a design, purpose, coherence, directive principle in the processes of human history. And most importantly it investigates with its analytical power the truthfulness of our historical records and stories, and whether the path of human history has been deceitfully deviated, or its stories tampered with. Unlike the critical school of history which focus on the literal interpretation of recorded history, the philosophy of history try hard to read between the lines, and connect the dots looking backwards to try and figure out how we ended up where we are. According to the orientalist interpretation of the Hebrew Bible, Abraham was the “Superman of antiquity”. Now the reason why many ‘academic’ historians view the tale of Abraham as merely fictional is simply because many of the city names mentioned in his story were actually not yet established around the time of Patriarch. Now let’s stop here for a while and ponder upon this inconsistency. 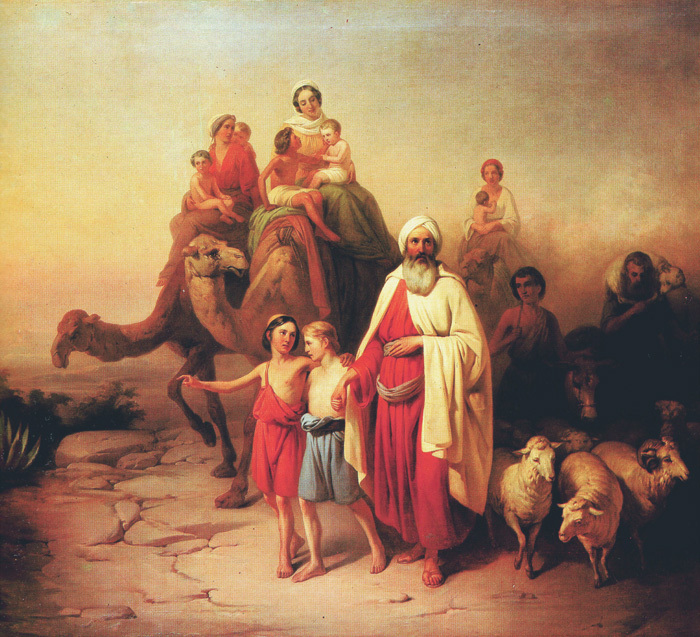 There were no ‘Pharaohs’ yet in Egypt but still Abraham met one in his ancient journeys. Well, that could translate to one of two likelihoods. Either Abraham never set foot in Egypt, or he had really met ‘Pharaoh’ but not in the ‘Egypt’ we all know of, and that is what had really happened. ‘Pharaoh’ in the Abraham story, as well as that Moses and Joseph spoke of is not the king of Egypt as millions over hundreds of years have been made to believe, but it is ‘Faraon/ فرعون the ancient Arabic title for tribal chieftain. It is linguistically/historically known that in ancient Arabia the head of the tribe was designated Faraon/فرعون. That’s why the real Pharaoh of Moses was nothing but a ruthless Arabian Bedouin/nomad. And consequently that would make the Israelites natives of ancient Arabia (funny … eh?). Yet it is painfully true. But never for a second fall under the false notion that we’re building our thesis merely out of linguistic correlation, there is a lot more to this than just phonetic similarities, a hell of a lot more. There is the hidden truth and we are just scratching its surface. We are simply exposing a gruesome and deliberate (Jewish) act of distorting humanity’s ancient history. This ancient deception has unfortunately driven us to our current situation where we are overwhelmed with more of the same gruesomeness and distortion. But if we reexamined the same story of Abraham, but this time around, viewed it in its original and native geography, culture and timeline the whole story could sound not only different but also plausible. At this particular point in my essay someone (agitated by these new revelations) will try and refute the ancient Arabian narrations, poetry and traditions as historical evidence. I absolutely have no problem with that, only if Mr/Ms ‘agitated’ would apply the same (refuting) doubts and methodology to Judaism and Christianity (and their totally anecdotal historical sources/evidences) . Let’s all bury our dead legends and start anew. I believe that not many westerners knew that ‘Jerusalem’ is referred to as ‘Salem’ in the Hebrew Bible. And I doubt that even fewer westerners knew that ’Salem’ is a genuine Arabic word that means ‘Peaceful’ just like Melchizedek means ‘Honest king’ . For crying out loud, what a word like ‘Melchizedek’ has to do with (the whole) Western phonetic culture, let alone its spirituality. The truth of the matter is that ‘Judaism’ is as dreadfully alien to Westerners as ‘Melchizedek’ is to their ears. In many of the ancient Arabian records and oral narrations ‘Salem’ is referred to as ‘Dar Salem/ peaceful house’ in North Yemen, or what the western orientalists had mistakenly identified with ‘Jerusalem’ in Palestine. But why the Hebrew book of stories should include Arabic words? This should come as no surprise if we came to understand that the Israelite stories are simply ancient Arabia’s remote folktales. Judaism and its Israelite stories of militant raids are as genuinely Arabian as Islam and its tales of holy wars and jihad. Few westerners had tapped into this (historical) information; one of them was Paul the Apostle. Why do you think Paul the apostle headed to Arabia and sojourned there for long three years before he dared embark on his missionary journeys (in the Roman/Western world). Here is Paul, the man who literally invented (western) Christianity, unambiguously affirming that the mountain which witnessed the encounter of Moses with his God had all along been in Arabia. Well that would automatically suggest that the rest of the ‘Israelite Exodus’ story had actually taken place in ancient Arabia as well (and not in ancient Egypt as the millions of laymen so ignorantly/pathetically believed). And Paul was not the kind of man who neither uttered words lightly nor maintained facts he knew were not true. Unlike the west, the Arabs and Muslims did not rely on a translation of the Hebrew book to get familiar with its stories. As a matter of fact, the Hebrew Bible was first translated into Arabic as late as the 10th century and it was done by the Egyptian Jewish scholar “Saʻīd bin Yūsuf al-Fayyūmi, also known in the western world as Saadia Gaon”. And while the ‘Septuagint Bible’ in its Greek translation (in the third century BC) was the breakthrough moment for the Israelite stories after which it had started to disseminate throughout the Western world, the Arabic translation of the same Hebrew Bible actually changed nothing on the ground, for the whole Eastern world had already been familiar/soaked with the Israelite stories for hundreds of years that even preceded the time of the so called Septuagint translation. The Israelite stories were well known by all Arabs for simply ancient Arabia had all along been the homeland of Judaism and its stories. That’s why the native Arabs were never in need of a translation of one of their native cultural products. The whole thing is Arabic. The Arabic (Hebrew) Bible and Arabic Israelites will lend credence to the misinterpreted Journey of Abraham (from Ur/Haran in Mesopotamia to Damascus, to Bethel in Palestine then to Egypt and back to Bethel once again!) Those long and arduous Journeys (ridding a camel, not a 4×4 Landrover) seemed not only silly for an elderly man (almost one hundred and fifty years) but utterly impossible. The flawed way in which the western orientalists had interpreted the geography of the Patriarch’s story had irrevocably turned this old tale of Abraham (and the rest of the Israelite stories) into an absolute riddle for archeologists and a flimsy plausibility for the historians. When Haran is seen as it originally was, the Arabian valley of Horan, and Bethel as the Holy city of Mecca then the Journeys of old Abraham will no longer need a Superman to make it or a gullible mind to believe it. Mohamed, the prophet of Islam, was an illiterate man who got no access to the western/Greek version of the Hebrew Bible. Islam’s prophet was in no need for a Greek translation of the Hebrew book when he actually had a unique access to the original (Arabic) version of the whole book and its violent/tribal stories. Mohammed did not have to read the Hebrew book to be informed about those Israelite stories for they were but the tales of his Arabian/Jewish ancestors. Moreover the Arabian Peninsula during the 7th century A.D, the time of Islam’s rise, was an isolated territory after the demise of the ancient incense caravan route. It is worth mentioning here that the Caravan route had never cut across the land of ancient Palestine, rather it started south in Yemen and ended up in Palmyra (near Syria) or Petra (near Jordan). In the former case the camel caravans continued their journey to (pagan)Persia in the East and in the latter continued on its path to (Pagan) Egypt in the west and then through Alexandria to (Pagan) Greece via naval route. The whole part of the caravan route had been in ancient Arabia and Yemen, the homeland of the Judaism and the Israelite stories, as we argue in the book. The wide dissemination of the stories of the Jewish patriarchs throughout the ancient Near East was due to the fact that those stories sprouted in ancient Arabia and were carried wide and far by the Arabian Jews who once controlled the Incense trade and its caravan route. Arabia did not only carry incense and spices on their camel caravans to the ancient world but also the new ideas of Judaism and the stories of their patriarchs. This is what had weirdly escaped the mind of western orientalists. Western scholars had miserably failed to see that ancient Arabia (and not Palestine) had always been the native land of the Israelites and their (violent) stories of tribal wars. And that’s why Islam had picked up where exactly Judaism left off. In other words Judaism and Islam as two faiths/religions are the cultural products of ancient Arabia and Yemen, and the Stories of the Jewish Patriarchs are Arabia’s ancient folktales. To make the case for his new religion in Arabia, Mohamed made it clear that he was just the last messenger of a long line of prophets. Those predecessor prophets he often referred to were of course the Israelites Patriarchs. Now let’s also Pause here for a moment and try to contemplate what we have at hand. Mohamed did not come up with anything new, rather his Quran was packed to the brim with the Israelite tales of Noah, Abraham, Joseph, David, Solomon, and of course Moses and Pharaoh. In that sense Islam’s main conflict was with the Jews and the pagans of Arabia. Mohamed made it unambiguously clear that his mission was to accomplish the final mission many of his predecessors failed to do, namely unite all of Arabia’s tribes under Allah/Elohim banner. That he most certainly did, and mainly by beating/subjugating the Jewish tribes of Arabia. This in a way explains the concept of Jihad/militancy/belligerence that permeate the whole of Islam’s scripture/literature. That also explains why the Muslim scripture/literature is somewhat anti-Jewish. For Mohamed to rise to power in Arabia (and beyond) he simply had to dominate the Arabian Jewish tribes and usher in a new era in Arabia, the era of Islam. But make no mistake, this new Islamic faith had relied on and incorporated the same ancient tales of Arabia that Judaism did before, namely the stories of Abraham and his (Arabian) Israelite tribe. In that Greek translation (the mother source of all the Bibles around the western world) seventy Jewish scribes had deceitfully relocated the geography of the Israelite stories from its original Arabian place to new places that were then under the Greek colonial rule, namely Egypt and Palestine. In the New Greek translation, that took place in the 3rd century BC at the legendary library of Alexandria, ancient Egypt and Palestine were hijacked and the kings of Egypt were overnight turned into ‘Pharaohs’. This (Greek/Jewish) brazen deception had undeservedly served as the infallible source/premise for all the scholars of ancient history and theology in the western world starting from the 3rd century BC and till this very current moment. Do you start to discern the huge proportions of this brazen act of deception the west (and consequently the whole world) had long fell under its sway. If you really do, then reach for the nearest Bible (that may be tucked under you own warm pillow) and start rereading the Bible properly, by omitting the bits and pieces about Egypt and Palestine. For Egypt knew no Pharaohs nor Israelites. In case you decided to renounce falsehood, and instead embrace the truth that has been obliterated for thousands of years. Then you could/should read my book (Egypt knew no Pharaohs nor Israelites) available now on Amazon. SouthFront: 2015, Year of Crisis Escalation. What expected in 2016? The year 2015 was marked by a series of crucial diplomatic and military developments in the world. The old world order established after the Cold War is rapidly changing. Russia, China, and Iran have become the main forces openly making steps to change the global system. In turn, the US-led block is seeking to retain the old world order by any means. The clash of interests in crisis regions around the world is engendering a serious escalation. Even if 2015 was successful for Russian and Iranian diplomacy, the situation remains complicated on the ground. While neither of the main world crises have been resolved or is there any expectation that they will be resolved in the nearest future, it is possible to summarize provisional results of the year. The situation in Libya, a center of tensions in the Mediterranean, is deteriorating with fail of the UN-led peace initiatives. Local ISIS branch is deeply entrenched in the war-torn country. It’s expected that flow of foreign militants into Libya from the Syrian and Iraqi directions will grow if Syria and Iraq continue successfully their anti-terrorist operations fueled by the Russian Air Forces’ presence in the Middle East region. Separately, ISIS increased activity in the Sinai Peninsula destabilizing the domestic situation in Egypt which tries to exercise multi-vector foreign policy in the region which not satisfy its Western-backed neighbors. The local destructive forces are also attempting to destabilize Egypt, de facto, assisting the militants. In turn, Cairo is strengthening its security efforts. In the Sahel region the humanitarian situation remains extremely fragile while the number of terrorist attacks is increasing. Boko Haram militants stated allegiance to ISIS remain the most dangerous terrorist threat there. The European migration crisis is especial acute. Since 2013, a cruel competition has been going among migrants, European governments and local societies. Immigrants concentrated in the entry point states move to the countries of the Central Europe (Germany, France) and the North Europe (United Kingdom, Sweden, Norway), spread over the whole union. The European governments impacted by critical look of the public opinion and the economic crisis have been trying to stop this process using the more and more gray approaches based on the wide notion of nation security concepts and the disregarding of human rights. However, the para-military operations in the Mediterranean sea and the usage of unadapted camps only conducts an additional exacerbation of migrants often pushed from their homes by the circumstances of insuperable force. In turn, inability of governments to solve the ongoing crisis conducts the anger of European citizens and contributes to the growth of radical parties and movements. Thus, the migration crisis has also triggered additional disputes between the national elites and European bureaucracy. European nations are faced with a dilemma: to surrender under the pressure of the main European powers and the eurocracy or try to defend what remains of their unique national sovereignty. The projects as the National Front Party, Marine Le Pen, aspires to renew its own national goals are strongly opposed by the mainstream European establishment. Meanwhile, NATO is continuing military build-up in Europe stationing additional forces, exercising numerous drills and even attempting to move nuclear warheads to the Russian borders. In early December 2015, Poland’s government issued a number of statements concerning the country’s participation in the NATO Nuclear Sharing program, which allows NATO member countries to deliver US nuclear warheads in wartime, using their own means of delivery. The smoldering conflict in Donbass, a corrupt government and unregulated paramilitary groups consisting of criminals and radicals make Ukraine a zone of instability in Europe. The situation is worsening due to the unavoidable economic collapse and the Kiev’s government inability to negotiate. Separately, the Russian military operation in Syria marked a loss of the US’s monopoly on the recourse to force. Now, the US and its partners are losing the leadership in the Middle East region. The success of the alternative anti-ISIS coalition will mean that the US could lose the leadership in a great part of the world, in Eurasia. For Western-backed states as Turkey and Saudi Arabia it means decrease of their influence in the region. Turkey has been shaping its approach in the region. It includes an additional rapprochement with Saudi Arabia and Qatar which leads to a hard anti-Iranian policy amid the ongoing cooling in relations with Russia. Meanwhile, the US has sent ground forces, including special operations units, into the region. And such countries as France, the UK and Germany has begun to operate more actively in the region. It seems that NATO powers have realized the strategy aimed at Assad’s ouster by a diverse range of militant groups including ISIS has failed. In this case, the NATO allies urgently need a new plan to hold control at least of the northern oil corridor from Iraq and try to take advantage of this opportunity to involve Russia in a long expensive war, in other words, to accomplish that which they failed to do in Ukraine. If the NATO contingent tries to occupy crucial infrastructure including oilfields, it could easily lead to an open military conflict in the region. The borders between the Central Asian states and Afghanistan have become increasingly active in terms of militant, diplomatic and security activity. Militant activity has increased in northern Afghanistan in recent months, punctuated by Taliban forces’ capture of the town of Kunduz in late September and ISIS militants have been gathering momentum and concentrating there. ISIS militants see this region as a foothold for further expansion into Central Asia. The important fact is they don’t fight foreign or Afghan government troops. They conserve and gather strength. The threat is also growing in the South. The number of ISIS militants has been growing at the borders of Tajikistan and Turkmenistan amid serious domestic problems of the Central Asian states. In this case, the Central Asia is attracting attention of the key regional players: Russia, the US and China. While the all sides state that they are interested in the regional stability, the Washington administration is clearly seeking to expand in the Central Asian countries amid the failing Afghan projects. The tensions in the South China Sea is a visible part of the ongoing US-China standoff in the Asia-Pacific region. The Obama’s “pivot to Asia” and the US newly released maritime strategy de facto mean that the Washington has taken a course on a long-standing countering of the China’s influence in the region. A core but often unstated component of U.S. national strategy is to maintain global superiority at sea. By controlling the seas, the United States is able to deploy military power and to control the movement goods worldwide. In the Indo-Asia-Pacific region the US has been rapidly building political, economic and military alliances to balance the raise of the China’s economic and military power. Beijing can’t ignore this fact. The China’s strategy maritime strategy aimed to defend its eastern coastal area and crucial maritime routes in the Indian Ocean challenges the American approach. Another hot point in the region is the Korean Peninsula. 2015 was marked by a new standoff between the North and South along the Demilitarized Zone conducting a complicated environment. The situation is further challenged by an aggressive South Korean stance supported by the US. According to Korean military sources the US has been considering to dispatch B-52 or a B-2 Spirit stealth bomber and a nuclear-powered submarine currently stationed at Japan’s Yokosuka naval base. The US has previously dispatched its military assets to the peninsula to support Seoul in its stand-off with Pyongyang two years ago. In April 2013 it had flown B-2 stealth bombers. The tensions in the Korean Peninsula will be definitely used in the ongoing US-China dispute for the leadership in the Asia-Pacific. Generally, 2015 was a year of crisis escalation and a fresh source of tension in international relations. The main directions of aggravation of the international situation have come into full force. However, last year was only the beginning when the system of international relations started to rebuild. Unfortunately, international practice revealed that global actors were not able to cooperate fruitfully to overcome mounting differences. The establishment took on the usual clannish spirit and protected the corporate interests of the crony elites, while the election race in the United States and the deepening economic recession fueled the flame. The entire year was steeped in the smell of gunpowder, but had not yet enveloped the world in the smoke of a global war. In 2016, we should expect continued tension in international relations. The number of local conflicts will not be reduced. There are high chances that there will be a significant escalation of the conflict in the eastern Ukraine. In the spring of 2016 the situation in Central Asia is expected to be destabilized, and Afghanistan could once again turn into a full-scale civil war. The zone of conflict in the Arabian Peninsula will expand. Turkey is at high risk of civil war. In turn, the intensity of the fighting in Syria and Iraq will decline or remain at current levels. 2016 will be marked by the growing probability of a wider global conflict. The turbulent climate in the South China Sea, the deployment of nuclear weapons in Europe, the colonial style of US foreign policy and its double standards are capable of bringing the world to the brink of nuclear catastrophe in the near future. Posted in WorldComments Off on SouthFront: 2015, Year of Crisis Escalation. What expected in 2016? An investigation has revealed the tactics used by Pentagon officials to prevent the transferal or freeing of prisoners from Guantanamo, despite the wishes of the White House. 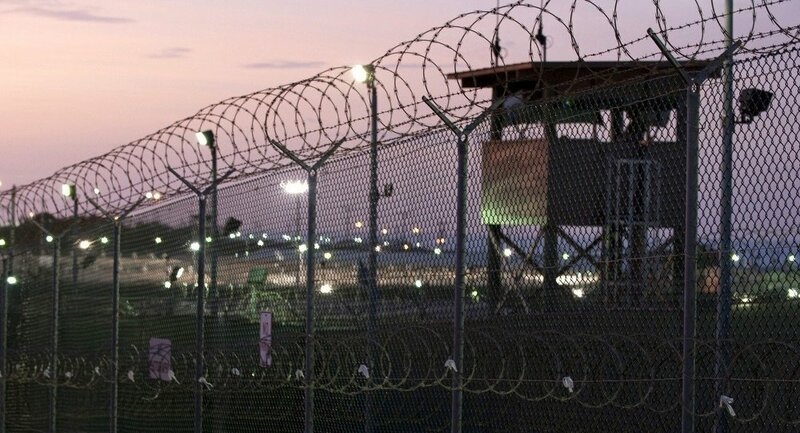 US Defense Department officials have used several tactics to delay or stop prisoners from leaving the Guantanamo Bay prison since US President Barack Obama took office in January 2009, when he signed an executive order to close the facility. According to data from Human Rights First, 242 prisoners were held there at the start of Obama’s presidency; as of November 2015, 107 were still being held there, 90 of whom have been imprisoned for more than ten years. One detainee, Ahmed Khalfan Ghailani, was transferred to the US for prosecution for his role in the 1998 US Embassy bombings. Four of the 242 died in custody, and 131 prisoners have been transferred, repatriated or resettled under Obama. Since the prison opened in 2002, a total of 780 detainees have been incarcerated at Guantanamo. The cost of holding a prisoner there is more than $3 million per year. According to an investigation Reuters published last week, the Pentagon’s refusal to cooperate with the process of transferring, repatriating or resettling prisoners has resulted in them spending years longer than necessary in Guantanamo. Officials from the White House and State Department have revealed that their Defense Department counterparts refused to provide photographs, complete medical records and other basic documentation to foreign governments willing to take detainees. Four Afghan detainees spent an additional four years at Guantanamo after they had been approved for transfer because of the inaction of the Pentagon. The transfers of prisoners to Uruguay, Kazakhstan, Mauritania and Britain were also delayed for months, said Dobbins. ​Omar Farah, a lawyer for Guantanamo detainee Tariq Ba Odah, on the revelations that Pentagon officials obstruct White House efforts to free prisoners and close the prison. 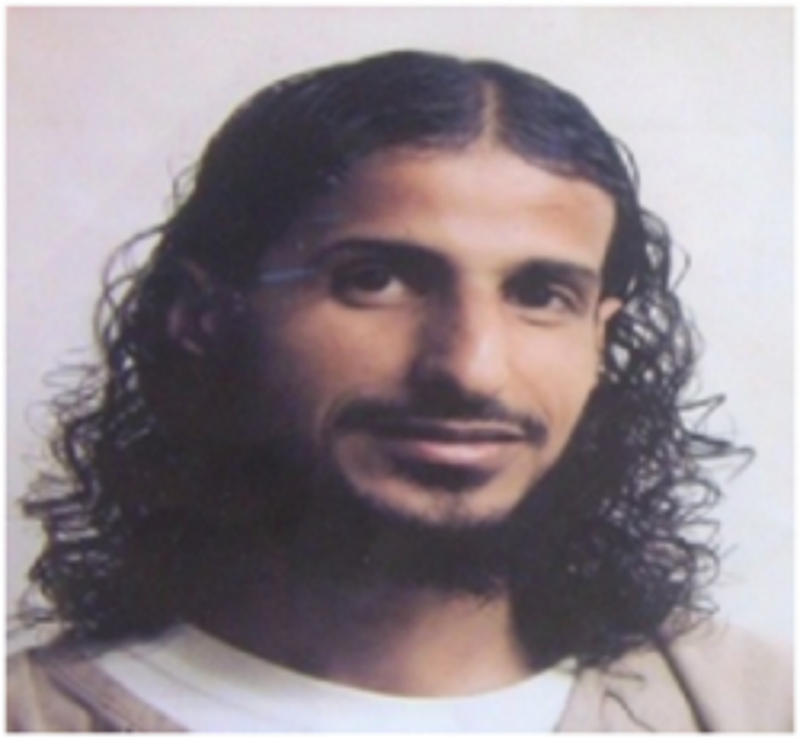 Yemeni prisoner Tariq Ba Odah, who is on hunger strike, is one of those who remains at Guantanamo despite having been cleared for release five years ago. “At the moment Tariq Ba Odah is being kept in solitary confinement in Guantanamo and force fed, even though they could have released him long ago. The government of one country has already said they will take him. In order to agree his release, there just remains a couple of formalities, for example, demonstration of his medical history, so that that country can decide if it can provide the necessary medical assistance for him,” Bo Odah’s lawyer, Omar Farah, told RT. “But regardless of the fact that the National Security Council has intervened on more than one occasion, the Defense Department stubbornly refuses to carry out this simple bureaucratic procedure. Farah said that in order to fulfill his pledge and finally close the prison during his final year in office, Obama must use his executive powers to force the intervention of the Department of Justice, which could issue court orders forcing the Defense Department to comply with the release of prisoners. On September 30, 2015, the Russian Federation Council unanimously supported President Vladimir Putin’s proposal to authorize sending a Russian task force to Syria. MOSCOW (Sputnik) — Sergei Ivanov, Chief of Staff of the Presidential Executive Office, announced to journalists that Syria’s President Bashar Assad had requested military assistance from Russia. Ivanov stressed the Russian Army’s activities abroad would be limited to air force operations, the use of troops in ground operations was ruled out. The sole objective of the operation was to provide air support to the Syrian government forces in their fight against Daesh militant group.In compliance with the decision of the Supreme Commander in Chief of the Russian Armed Forces — Vladimir Putin — Russian Aerospace Forces aircraft launched an air operation on September 30 by conducting pin-point air strikes on Daesh ground targets on the territory of Syria. To coordinate the fight against Daesh, an information center was set up in Baghdad with Russia, Iraq, Syria and Iran as contributors. The center’s mission is to collect, process, summarize and analyze data regarding the situation in the region, as well as to distribute and deliver timely information to the General Staffs of the participating nations. The mission was assigned to a combat task force of the Russian Aerospace Defense consisting of 50 airplanes and helicopters. The Russian Aerospace task force in Syria has a mixed range of aircraft: Su-24M and Su-34 frontline bombers, Su-25SM strike aircraft, and Su-30SM multi-purpose fighter jets for protecting strike aircraft in the air. Russian Mi-24 helicopters are used for protecting the airfield proper, for reconnaissance and rescue operations. The air base also has combat Mi-8AMTSh helicopters. Space reconnaissance and drones are also engaged in the operation. The troops participating in the Russian air force operation in Syria are deployed at the Khmeimim airbase off Latakia. All supplies and equipment for the Khmeimim airbase come entirely from Russia. A reinforced battalion task group of Marines is tasked with the protection and defense of the air base.A Russian Navy task force, including assault ships in the Mediterranean, ensures aircraft defense of the Russian base. It also secures the delivery of supplies to the base. During the first month of the operation in Syria Russian aircraft made 1,391 combat sorties and destroyed 249 different command points and communications centers, 51 terrorist training camps, 35 factories and workshops, 131 ammunition and fuel depots, as well as 371 strongpoints and fortified centers, 786 field camps and a number of bases, totaling 1,623 terrorist facilities. On October 7, Russian Naval ships were deployed in the operation. The Dagestan, the Grad Sviyazhsk, the Veliky Ustyug and the Uglich guided missile ships launched their cruise missiles from the Caspian Sea, successfully firing 26 missiles and destroying 11 of 11 targets. On November 17, the Russian strategic aircraft were used for the first time in the Russian Aerospace Defense Forces operation in Syria as Тu-160, Tu-95МS and Тu-22М3 launched massive missile and bomb assaults against Daesh targets in Syria. The day became truly historic for the Russian Armed Forces as the strategic bombers Тu-160, Tu-95МS, which had never been used in combat before, experienced their very first combat missions over the Syrian skies. On November 20, Russian Defense Minister Sergei Shoigu reported that the aircraft task force had been enlarged to 69 aircraft. According to Shoigu, Russian aircraft make 143 sorties a day. The naval task force is made up of ten ships. with six located in the Mediterranean. On November 24, a Russian Su-24 jet was downed by a Turkish F-16 over Syrian territory. The commander and the navigator both managed to jettison prior to the jet’s crash. However, the commander of the plane, Oleg Peshkov, was killed by land-based terrorists who shot at him as he parachuted to the ground, whereas navigator Konstantin Murakhtin parachuted successfully and was later saved by a Russian infantry rescue unit with fire support from Syrian Special Forces. After the incident involving the Russian Su-24 jet, the Russian president ordered that the S-400 anti-air missile system be immediately deployed at the Russian military base in Syria. Also, moving forward all Russian air force strike aircraft were to conduct all operations only under the cover of fighter planes, while the Moskva cruiser equipped with an S-300-like Fort anti-air missile systems moved into the area next to Latakia to reinforce the air defenses.On December 8, Russia conducted its first submerged combat launch of a Kalibr long-range cruise missile. Missiles were launched by the Rostov-on-Don Diesel-electric submarine, successfully hitting all designated targets. Russian aircraft were initially tasked with targeting command and communications centers, terrorist headquarters, ammunition, weapons and fuel depots as well as mini plants that produce improvised explosive devices and equip Daesh extremists’ vehicles for terror attacks. The focus has shifted in the past few weeks, with priority being given to eliminating the sources of funding for radical Islamists, the illegal extraction and selling of oil and oil products. Su-34 bombers now strike Daesh sites for the extraction, processing and transporting of oil. Russian assault planes have also started an “open season” hunt for oil tanker trucks. In the course of the operation combat aircraft made over 5,200 sorties and eliminated several hundred terrorists and thousands of their facilities. Since the start of the operation in Syria, Russian Air Force planes have destroyed over 2,000 tanker trucks hauling oil and oil products. Russian air strikes cover a wide area, including the Syrian Governorates of Aleppo, Damascus, Idlib, Latakia, Hama, Daraa, Homs, and Deir ez-Zor. According to the Russian General Staff, the terrorists began retreating under the barrage of Russian air strikes and after having lost most of their weapons and equipment on the line of contact with Syrian troops. Reconnaissance data indicate the terrorists have changed their tactics and began acting more clandestinely by using concealment tactics. The Russian operation in Syria is accompanied by media reports accusing Russian air strikes of causing mass civilian casualties, or of using banned ordinances – from cluster bombs to vacuum munitions. The Russian Defense Ministry has denied all accusations by providing the international community with exhaustive photo and video proof that exposes the allegations as lies.President Vladimir Putin said that the Russian Aerospace Defense Forces will keep up air strikes against IS terrorists in Syria until the country’s army completes its ground operation. Concurrently, the US-led anti-Daesh coalition is also conducting air strikes against targets in Syria, but without a mandate from the Syrian authorities. Russia exchanges information with the coalition regarding sorties, however, closer coordination with the US-led coalition has not been possible so far. After the November 13 terror attacks in Paris Putin instructed the Russian Defense Ministry to work with the French military as allies. ERBIL, Kurdistan Region–In the latest row between Ankara and the Kurds of Turkey, President Recep Tayyip Erdogan has called for the lifting of immunities from Peoples’ Democratic Party (HDP) leaders to start criminal investigations against them. Erdogan slammed the co-chair of the HDP, Selahattin Demirtas on Sunday for advocating greater autonomy for Turkey’s Kurdish regions. “The statements of the HDP leaders are constitutional crimes. There are investigations started by prosecutors against them. These should be followed up,” Erdogan told reporters on Saturday according to Hurriyet Daily News. “I believe the process that will start with the removal of immunities will have a positive impact on the mood of our country in fighting terrorism,” he added. Given the fact that HDP politicians are members of Turkey’s parliament they are entitled to immunity from such investigations. Erdogan however has sought to lift that immunity for the HDP under the pretext that they are linked with the Kurdistan Workers Party (PKK) and have violated the constitution by openly advocating autonomy on behalf of Turkey’s Kurdish minority. Turkish government is waging a war against its own people, deploying tanks against civilians, MP says. On January 3, a rally held by pro-Kurdish activists in Istanbul ended in clashes with the police; numerous protesters were arrested by the authorities, according to RT.The protesters gathered to express their dissatisfaction with the government’s heavy-handed activity in the southeastern part of the country, which is populated predominantly by Kurds. The Turkish military has launched a so called ‘anti-terrorist operation’ in that region, having deployed about 10,000 servicemen supported by armored units and attack helicopters.About 100 civilians have already been killed during this campaign, according to media reports. President Erdogan also accused Selahattin Demirtas, co-chairman of the People’s Democratic Party, of committing a constitutional crime after the latter reportedly advocated granting more autonomy to the restive region in hopes of resolving the conflict peacefully. Demirtas and his colleague, Figen Yuksekdas, are currently facing an investigation launched by the Chief Public Prosecutor’s Office in Diyarbakir for “inciting people to revolt,” “propaganda for a terrorist organization” and “attempting to disrupt the unity of the state and the country”.All in all, the situation in the country continues to deteriorate, according to Feleknas Uca, a Turkish MP of Yazidi descent representing Diyarbakir, and member of the HDP. Uca said that the Turkish government must put an end to these reprisals against civilians, and that Europe should provide assistance in that matter. “This country wants to join the EU, while Europe wants Turkey to become a safe place for the refugees. But when a government deploys tanks and armed forces against its people, I call it a war. This is why I call upon Europe to break the silence. The people must open their eyes to what’s happening here, to see how civilians are being killed,” she said. The root cause of today’s endless conflict in Afghanistan dates back to the day when soviet forces set foot on Afghan soil, the war that sustained to drag into another century and passed to other war wagers. Following the soviet exit, the power was taken over by the most uncivilized and cruel humans of the earth, Jihadists and then Taliban who voluntarily plunged Afghanistan into ruins. In years before 2014, a broad speculation over what might happen beyond 2014 – US forces withdrawal – was that Afghanistan would experience a boom, either in terms of security, economy or overall developments. It was predicted that with international forces indoors and Afghan security forces on war front, while peace efforts at great pace, this long-war-devastated country would phase in prosperity. But those dreams were especially shattered when first signs of continuity of war were felt across the country. The failed war on terror gave birth to a brand new terror group “Islamic State”, compounded an already fatal insurgency that just eyes on ways to “kill and kill”. Taliban or any rebel group’s ideology of “fighting government” is cleared “pointless”, because there is no targeting of key Afghan security authorities other than hunting down civilians, though it is not that they can’t reach “them”. What these days has overwhelmingly engaged people is the battle against Islamic State in eastern Nangarhar province of Afghanistan. The seeds of Islamic State in Afghanistan were first planted for a different purpose. Around 2008 under Karzai, members of Lashkar-e Islam resettled across the border in parts of peripheral districts of Nangarhar province. The fleeing group was defying Pakistani government and even reportedly plotted deadly attacks. Pakistan was forced to set up a force to counter this group. It yielded somewhat desired outcome and suppressed the challenging group. This move went on to lay the foundation of Islamic State in Afghanistan. It was when we were hearing about clashes between Taliban and Islamic State. It is more like a by-product force. The first ever non-government resistance to the Islamic State’s presence and atrocities in a confined area was mobilized by an Afghan warlord Abdul Zahir Qadeer, who is also the first deputy of parliament. His anti-IS position went viral in social network and mass media, particularly when a footage released showed four IS fighter’s heads cut off the body. They were beheaded by Zahir Qadeer’s armed personnel to avenge the relentless mass killing of locals. Although statesmen and Human Right organization slammed the act and called for investigation, it comforted the pains of not only victims and their dependents, but almost every citizen who heard about it. A number of powerful jihadists and tycoons running million dollar massive businesses across the Nangarhar city may also stand as barrier to the advancement of Islamic State into the city. They may choose every option to ward off anything on the earth making trouble for the flow of their business. The loss is inevitable for them if Islamic State fighters make it to reach out the outskirts of the city. On the other hand, as Russia looks around for influence as part of anti-IS battle, Zahir Qadeer and Moscow’s interests meet the same. The two sides would possibly come together to discuss the issue in question. Russia is trying as hard to overcome the threat as President Putin’s special representative for Afghanistan Zamir Kabulov has asked UN Security Council to relax bans on Taliban. There have been media reports about Moscow-Taliban’s negotiation in Tajikistan. The Taliban leadership it spoke to might not absolutely represent the fighters battling in Afghanistan as the core Taliban address is far beyond the reach of Moscow, but it would help the major power chalk out own road map to form or lure an anti-Islamic State rebel group. The mentioned Russian attempts would not go quietly and away from US attention. It would be equally followed by western responsive measures. If the pace further develops, it would amount to an “alarming bell” for the west. Peace negotiation efforts with Taliban resumed after Pakistani General Raheel Sharif’s last week visit to Kabul. Although, it is no surprising news owing to its failed and dishonest past, the U.S and China’s involvement has sparked a bit of optimism to pressure the opposite side of Afghan government. This comes as the latest fierce fighting in Sangin district of Helmand province was believed to have erupted as a stride towards showing enormity of Taliban’s power to give them more concession in the negotiation. Some analysts had predicted the resumption of peace campaign just after or amid Sangin’s violent battle. If this argumentative peace talk ever reach consensus, Afghan govt. would have to prepare to give up a great deal of concessions and make a grave history for the next generations. This could include abandoning of territories to the Taliban or some share in power in Kabul. Any such deal, however, would prompt majority of nation to outrageously stand against statesmen. A massive chaos that would grow as much as to leave Afghan leaders mired in a new tragedy. Thereby, Afghan side has to meticulously discuss the “mutual” concessions, where ours is primarily focused on long lasting truce with Taliban, yet there is no guarantee the extremism would stop even after agreement. The fighting in Helmand persistently expands into other districts. Afghan Special Forces in an operation the other day released 59 hostages among military men and civilians. In Marjah district, Taliban has forced residents out of their homes and planted IEDs along the blacktop. Central security authorities were criticized for lingering action to timely send reinforcements to the war front. Pakistani media has spoken the language of Islamic State loyalist’s presence and inroad attempts in this country, a claim declined by Pakistani authorities. According to Urdu language Jang daily, Islamic State is recruiting, brainwashing and sending operatives to the fighting grounds in Afghanistan and the Middle East. Islamic State is in stage of invisibly taking shape and therefore cannot be felt well there. Some best-selling newspapers have cautioned of Islamic State’s gaining of foothold and called on authorities to stop its expansion. The phenomenon seems to be serious as another Urdu language “Dunya” newspaper reads “Daesh is working to secure a perpetual presence in Pakistan”. This is while “Amir Mansoor” has been named as Ameer of the group in Islamabad. Although the ground may now only serve as “mobilization” for Islamic State and will not pose a direct threat to Pakistan, someday they may turn a “homegrown demons” for Pakistan and bother own creators. Daesh recruiters set sights on Afghan refugees as priority. After getting trained, the recruits move to Afghanistan to fight for what they call “farce” Jihad. They get 30 to 50 thousand Pakistani rupee (300 to 500 USD) each month. It can willingly, unwillingly carry menace of terror attacks in neighboring countries – other than Afghanistan. Saturday’s armed attack on an Indian military base in border region is citable as dire consequence. Indian media and officials put the blame on Pakistan right after the raid. 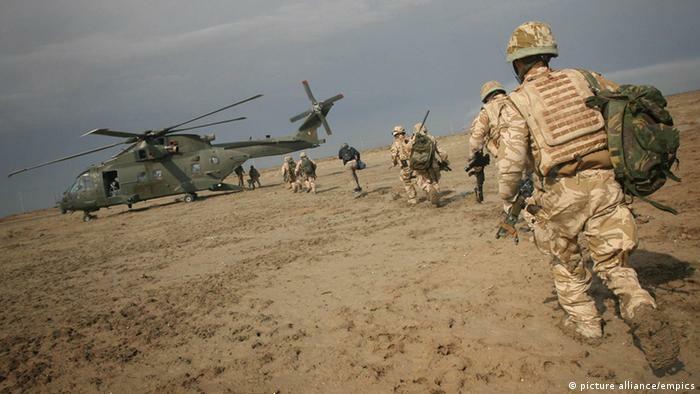 The head of an official unit probing alleged abuses in Iraq between 2003 and 2009 has told “The Independent” newspaper that British troops may face prosecution. The allegations include unlawful killing and torture. The SPA considers criminal cases within the armed services. Ihat was set up by the Ministry of Defense in 2010 and is independent of the military for its investigations. It is currently dealing with more than 1,500 possible victims, according to its latest quarterly update. Some 280 of those victims are alleged to have been unlawfully killed. “There are lots of significant cases that we are investigating and at the appropriate time it will be a matter for us to discuss with the SPA whether they meet the war crimes threshold,” Warwick added in the interview. Ihat’s initial target for completion of its investigations was 2016, but Warwick warned that it may take beyond 2019 to work through all the claims. “Things seem to still be moving at a snail’s pace. This cannot be a whitewash,” Ferstman added. Warwick appealed for patience. “I think people need to understand the complexity, the volume and the geography aspects of this, and you can’t underestimate putting those three factors together and trying to conduct ethical investigations,” he said. A member of the Islamist Jaish al-Fatah (Army of Conquest) coalition, Failaq al-Sham, announced in a statement on Sunday that it is withdrawing from that group in order to redeploy its members to the Aleppo region.Jaish al-Fatah (which includes groups like the Syrian offshoot of al-Qaeda, Jabhat al-Nusra) overran Syria’s northwestern province of Idlib last May at the expense of the regime of President Bashar al-Assad. It has held it ever since.The Failaq al-Sham (Sham Legion) statement argues that since Jaish al-Fatah “finished its mission in the battle to conquer Idlib,” it now sees it as its responsibility to go fight their enemies in the Aleppo region. “As enemies from inside and abroad, the regime and its Shabiha [militias], Shiites and Russians concentrate efforts on bringing down the Aleppo region, we are giving priority to supporting revolutionaries in the Aleppo area,” the online statement read according to Reuters. “We therefore announce our exit from the Army of Conquest operations room,” it added. Such a statement does not indicate there is any animosity between the Sham Legion and Jaish al-Fatah. Syrian soldiers and militants under the command of the regime have advanced against opposition-held areas in parts of the key provinces of Aleppo and Latakia alongside small numbers of Iranian Revolutionary Guard militants with the support of Russian air power in recent months. Opposition forces, many of them Islamists, also managed to spearhead some advances into the strategically-important province of Hama. The Sham Legion is a group of, so-called, moderate Islamists which is estimated to be 4,000 strong. Its primary areas of operation before it declared its desire to relocate to Aleppo have been the provinces of Hama, Homs and Idlib. Hint- You cannot sell something that does not exist! Why did Chile get an Earthquake and Tsunami? Again, a lot of idiots bought “paper” that does not exist. The real gold has moved to Iran, India, China and Russia. My summation is that the gold has not been “stolen,” it did not exist in the first place. When will people learn that a “GLD” certificate is worth NADA! The only gold worth having is gold in your hands! And simply hanging around waiting for Assad to go, Iran to be bombed and another CIA-backed Jihad John “Spring” in China and Russia, so that you can basically steal back the gold you did not own in the first place and sold on promissory notes… is simply not going to work! Hence the “Assad must go” and “bomb Iran stories” are flagging and sagging into their graves. They needed to get control of these countries and the gold stolen back. Because while these A Holes play silly buggers, Iran, India, China and Russia are stockpiling the real stuff. Hence the “gold”-backed BRICS and the “gold”-backed Yuan. And investors with half a brain anywhere in the world, have bought gold in secured allocated accounts, not “Gld” certificates and certainly not anywhere in the West, which now has a 100-year-old reputation for selling gold that does not exist, which is what has partly been backing the fiat US dollar as international reserve currency, which it now is not. Those days are over. Countries around the world now trade in their own currencies, the Yuan, commodities exchange or real gold. You cannot have the dollar linked to gold because then you have to back it up with gold. And if you cannot back it up with real gold, then you have to decouple it, as Nixon did. Especially when Fort Knox is empty! Throw in the fact that most countries no longer use the petro dollar, but are trading for oil in anything but, and 2016 is going to be a pivotal year in every sense of the word. Barrick losing the court case in Chile in 2013 was bad enough, pledges of un-mined gold that they sold without a real ounce to show for it! Buying “buried gold,” is fool’s gold known as Gld. Confetti thrown in your face to confuse you! Notice the Lima connection in this story. A stone’s throw from Chile. Which ties in with the Barrick scandal of 2013. Loved the bit in the news recently about weather warfare, though they did not call it that, they called it “Climate Change,” and Saudia and Qatar getting “flooded”, causing millions in damage and now the “burning” of the tower in Dubai! Which records were “destroyed”in those disasters I wonder? Shades of Hurricane Sandy and the Twin Towers? I hope they both can find their camels and their tents soon, because they are going to need them. No more petro dollar, Russia and Angola are the biggest suppliers of oil to China, and now this? This is a death knell! The Nuland Khazar faction, along with the Nazi and Jihad faction in Ukraine was supposed to have taken over Crimea by now, with Russia blocked off from the Black Sea and the Mediterranean. And Putin was supposed to have “gone” with another, oh god yawn, “colour revolution.” Thar’s gold in thar hills! I tell ya! And then we had Hong Kong. Remember the “Umbrella Revolution?” Fell flat on it’s face, that one did! By now Assad was also supposed to “have gone,”while Iran with its “nuclear threat” was supposed to have been bombed back into the stone age. But things have not turned out quite the way it was planned… have they? Come to me! Oh the blarney of it all! about wearing a bulletproof vest! on a clear day when he looks to the west! he will lay the Devil to rest. in Hell he’ll be baking! And that will be the end of the quest! Posted in Middle EastComments Off on Who Stole Dubai’s Gold?